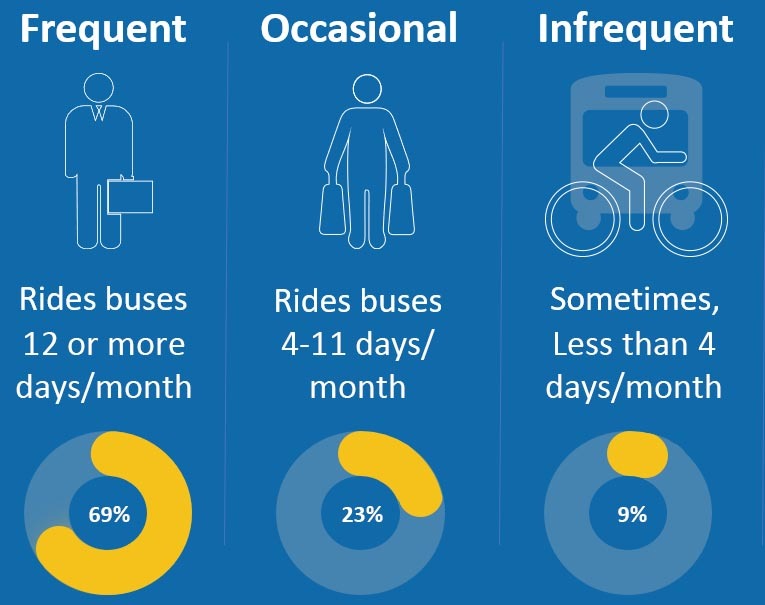 The information below provides a snapshot of who rides local bus services – not just Metrobus, but also ART, CUE, DASH, DC Circulator, Fairfax Connector, Ride On, and TheBus – in the Washington area today. Unless otherwise noted, data is for riders on all of these systems. Just over half of daily bus trips are made during the morning and evening peak periods, and mid-day trips make up one third of all bus trips. 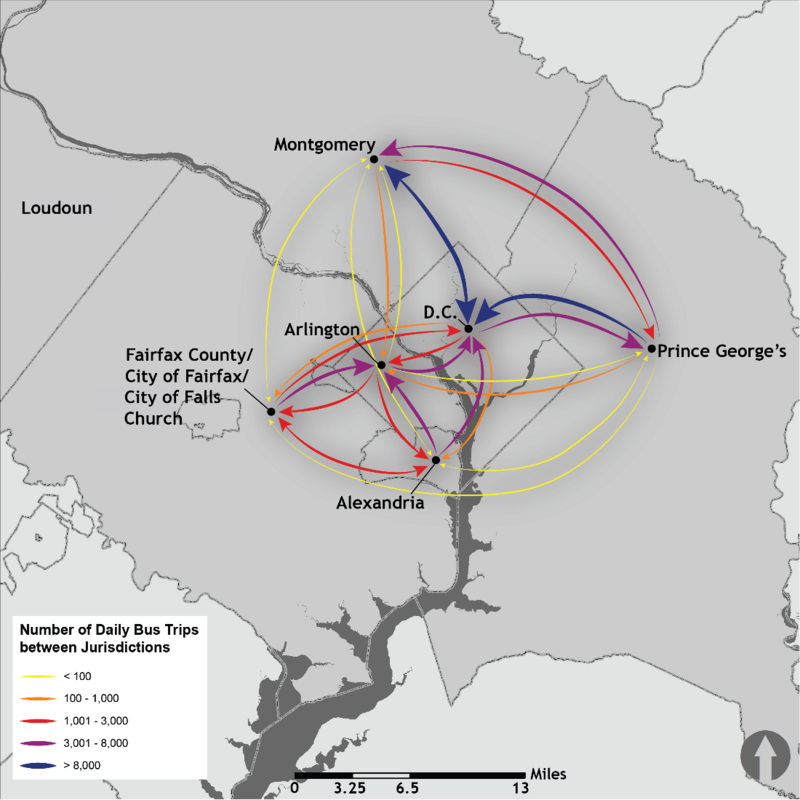 DC residents account for over one third of the region’s bus trips, while Montgomery County residents account for nearly one quarter. Bus riders in the region are more likely to live in households that do not have a car, live in low-income households, have limited English proficiency, and be non-white. 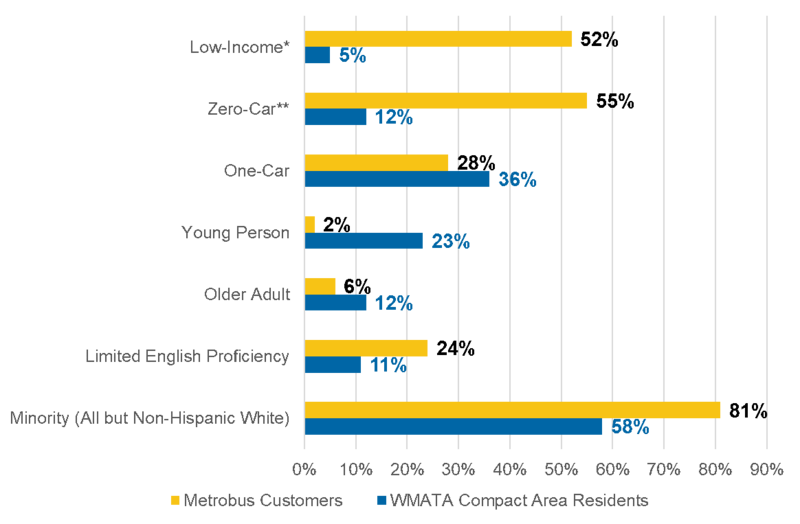 A profile of Metrobus passenger demographics compared to the region overall is shown below. 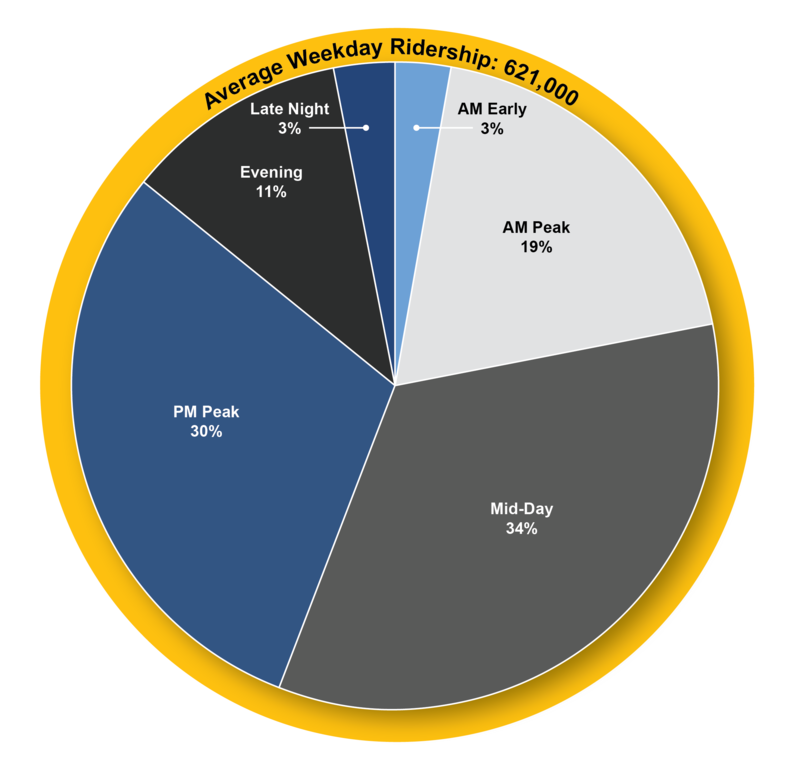 People who ride the bus at least 12 days per month account for nearly 70 percent of all trips on local bus in the Washington area. Regional models estimate that, every day, more than 90,000 bus trips are made between different jurisdictions in the region. 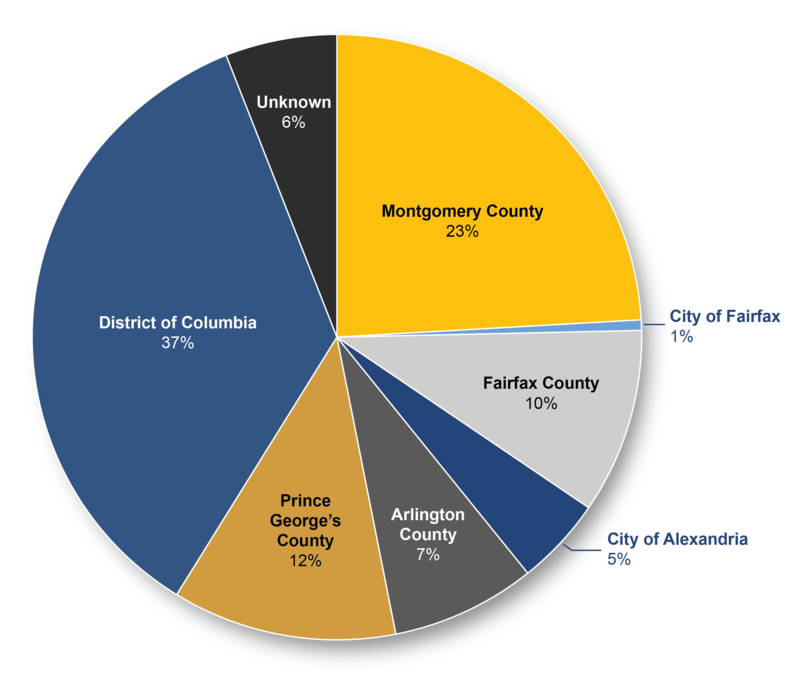 Cross-jurisdictional bus trips are most common between Montgomery County and D.C. and between Prince George’s County and D.C.
85% of Metrobus trips are “stand-alone” - that is, they do not involve a transfer to or from Metrorail.